Laying on the ground getting my 8 year old Boxer Taja to cooperate as my neighbors stare at me I snapped this picture. I had a lot of fun and always enjoy the shooting challenges. Not much of a story surrounding it really. I have only had my camera for about 3 months but carry it everywhere. Well this is Taja laying in the front yard. Since this photo contest was announced the weekend of Carnegie Mellon University's Spring Carnival, I thought the buggy races would be a perfect choice for a black and white photo challenge. I had seen so many black and white pictures of this event growing up since my dad used to participate in it when he went to CMU in the 1970s. A team builds the buggy, which contains a driver for the downhill portion, and takes turns pushing it up various hills. Taken with Sony A55 camera, Tamron 17-50mm lens, ISO 400, 1/500 sec, f/3.5. I cropped it, converted it to black & white, and touched up the brightness a smidge. Took this shot walking to work through Fort Greene Park as a storm was rolling in. I looked up and saw the radio tower and American flag above Brooklyn Science H.S as the clouds darkened and snapped the picture. Because it's black and white, it takes on an almost 3 dimensional feel. Using A canon SX120 Powershot, I wandered around the old run down building in the kibbutz I live at. Found a huge pile of old water fans, used to put air into the water, piled up with the old mud still on them. It was a dark dank little shed that had fell over already, I had to crawl in and out of it. I simply set my camera to manual, Macro and did my dang best to stay still. I took this photo on what has been the first sunny weekend of the Pacific Northwest spring (sunny spring weekends are a rare commodity here). My girlfriend and I naturally took the opportunity to run through our yard kicking and blowing on the multitude of dandelion seed heads scattered throughout the yard. Certainly beats working up the motivation to actually mow the lawn. The photo was shot with a Canon 60D using a Canon 50mm 1.4 prime lens. ISO: 400, F-stop: f/2.8, Exposure time: 1/1000 sec. The photo was converted to Black and White using Nik's Silver Efex Pro 2 and finished up using Adobe Photoshop Elements. I just got my new "nifty fifty" lens and started snapping a few portraits. This one of my dad jumped out at me and changing it to black and white really made it pop. This shot was taken at the Crystal Palace Gardens in Oporto. I really like the result of removing all the color saturation in the original RAW file that helps to perceive the spirit of the hippie movement, with all the tones and details popping out from the textures and shadows of their clothes, hair and grass. The composition means share and intimacy. You can almost feel the music! First entry in a photo contest ever. Just got my DSLR and have been aching to take it out. The challenge seemed like the perfect assignment on a lazy Saturday morning. Snapped this one off while trying to find any way to make the view from my Phoenix, AZ apartment balcony seem interesting. Was having trouble with the bright morning sun and the shady balcony area exposing correctly, but eventually got this one. I just enjoyed how it provided a range of contrasts and hoped that the B&W post-processing in Photoshop would enhance the texture from the wall and roof tiles. Round 2 of the Australian Superbike Championships was held in Darwin this weekend. I headed down with camera, chair and stubby holder. It was hot and humid, about normal for this time of year. I was pleasantly surprised at how easy it was to get a relatively good photo position. Lots of pictures taken and this was one of the better ones. I got quite a workout rotating my body to keep the bikes in frame as they raced past. There were many shots with no bike or a blurry rear wheel. ISO 100, f 5.6, 1/250 sec, equivalent focal length 450mm. I did the conversion to grayscale in Faststone Image viewer, no cropping. The geometry and the way the light illuminated the area intrigued me. Black n white harks back to a era where images seemed surreal. This is the part of the building seen often but when I showed it to couple of my colleagues they refused to believe that it was the same building.(LOL). Though it may not be as professionally shot as others you may receive, I still send it for your critique. Here's my submission to this week's photo contest "Black and White". This was shot in a Los Angeles park on my Nikon D5100. I asked my wife to walk down the tunnel while a grabbed a few shots from behind. I used the kit lens (18-55mm) at f3.5 and 200 ISO. By the way, I'm so glad I found out about your contests! It ensures I use my camera at least once a week now. I took a quick trip to a local Skate park in Diamond Bar to practice photographing moving subjects for the first time full manual. I had an awesome time talking with the skaters and roller-bladers' especially because the second someone has a camera everyone starts to show off! Since this is my first entry to the Weekly challenge and just started taking photos very recently I think it turned out alright. A nearby city recently built this foot bridge, and I've been meaning to photograph it for a while now. I love all its curves & geometric patterns & blue colors. I'd originally intended to shoot in the morning. But after a night visit to some friends up in the mountains with spectacular views of the stars, I was curious how the bridge would look at night and if it might be possible to get some good stars in the picture. Unfortunately it was too well lit for the stars, but the repeating lights made for some nice patterns that I felt would work well with the black/white theme. Shot with a Canon T3i with a Sigma 15-50mm f2.8 lens at f9, ISO 100 for 15 seconds. I was under some bad weather and pressed for time for this one, so clever me decided to go for something that was known for color, Skittles! In post, I used Canon's DPP for the B&W and some other touch ups. Can you taste the rainbow in black n white? Answer: a sweet yes!! I took this picture using my canon T2i. I had just purchased my "nifty fifty" fix lens 50mm F/1.8. 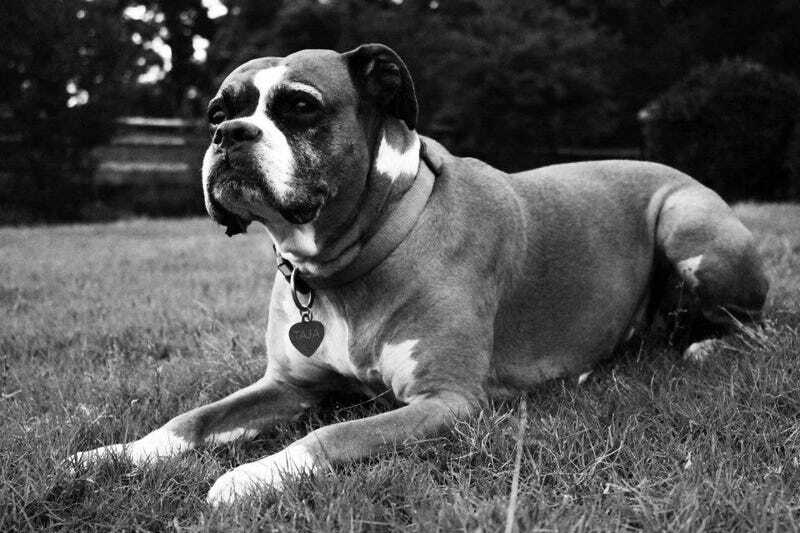 Wanted to see how shallow the DOF was at 1.8 and my 4 year old boxer Lexi was the perfect model for it. It was shot at 400ISO since I had low available light.